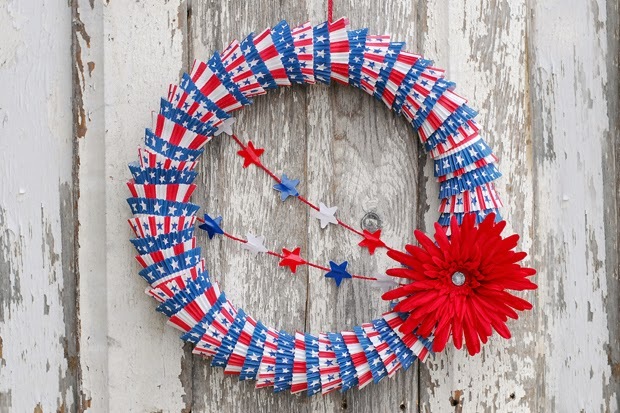 With this quick and easy DIY wreath tutorial, getting up your last minute decorations for your Fourth of July celebration will be a breeze. This cheap but stunningly beautiful wreath is exactly what you needed so follow along with the tutorial after the fold to learn how you can make yours. First and foremost, get your materials ready. Pick up about ten cupcake wrappers at a time and cut the middle out. Hot glue the cut wrappers onto the foam wreath. 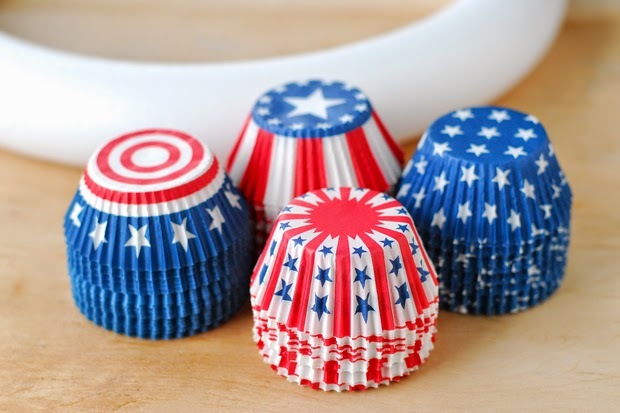 Use an alternating pattern of red, white, and blue cupcake liners. The linked wrappers come with the pictured patterns! 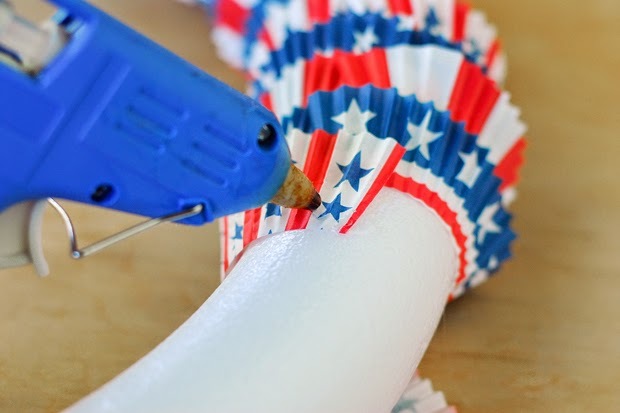 Don't have a hot glue gun? Here's a tutorial for an alternate way to stick your wrappers in place. 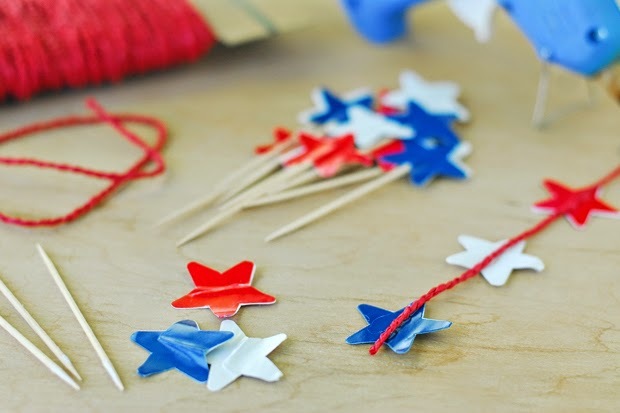 Hot glue stars to a piece of twine. This piece will stretch across the center of the wreath. This set of cupcake wrappers include the stars too! Finish up the decoration piece with a bright red flower. 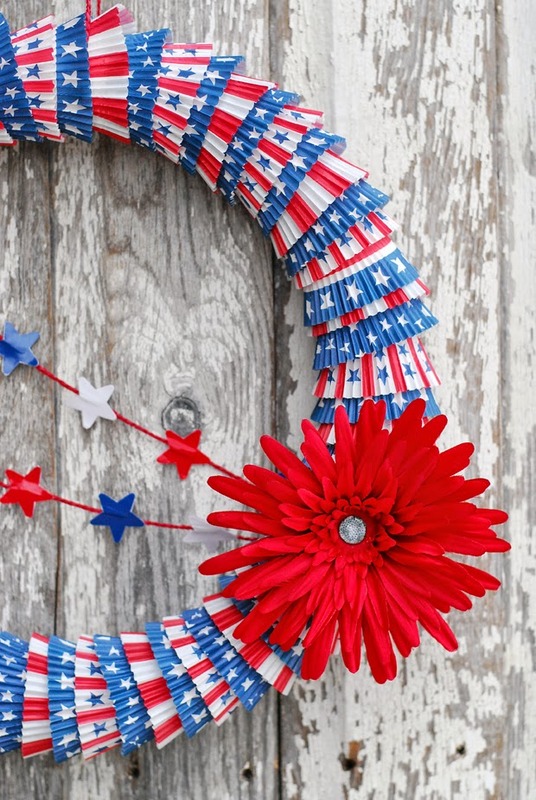 Hot glue it onto the wreath for that extra pop of color and you're all set! Enjoy your Fourth of July celebration! Thanks go out to Tonia Larson for the photos and original tutorial available here.